A LARGE contingent of buyers were out in force at Newark for Limousin day, where bull trade peaked at 6,000gns and females sold to 4,500gns. Alex graduated from Leeds University in 2016 with a degree in Communications and Media before joining FG as part of the livestock team. Calogale Lionheart sold for 6,000gns. Pick of the bids was Calogale Lionheart from G. J. Lee and C.M. Lloyd, Carmarthenshire. A May 2015-born ET son of Ampertaine Gigolo, the sire of the record priced £147,000 bull Trueman Jagger, Lionheart is out of Goldies Glorious and sold for 6,000gns to J. T. Mitchell and Sons, Thursford, Fakenham. 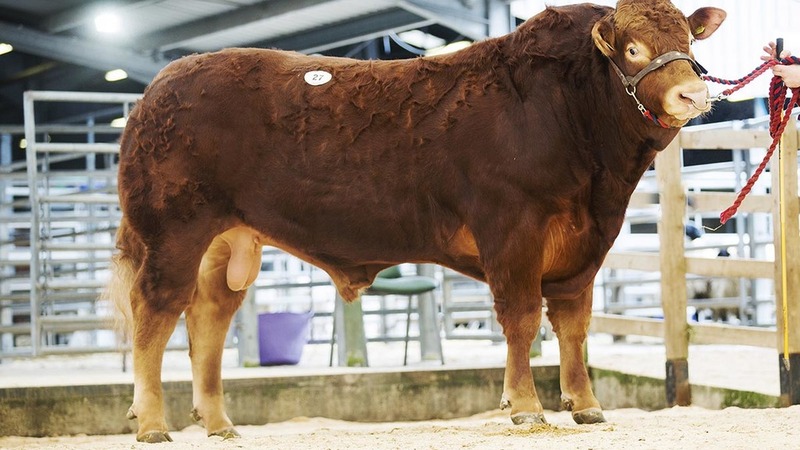 At 5,800gns was Loosebeare Lumpy from the Quick family, Devon. This son of homebred sire Loosebeare Fantastic is out of Loosebeare Governess, a Haltcliffe Anzac daughter. It went home with J. and J.R. Appleby, Louth. 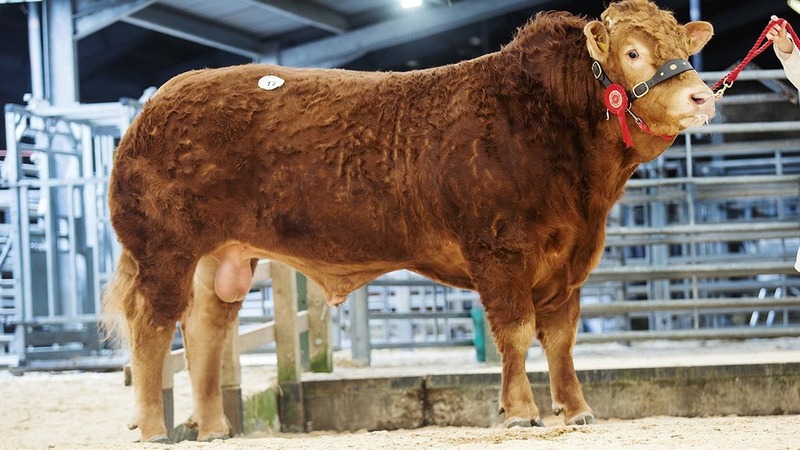 Next, at 5,000gns was the first bull to be sold, Sportsmans Ferguson from Ian Brown, Spalding. By Wilodge Vantastic and out of Glenrock Ursula, it was reserve senior male champion at Carlisle in 2012. Ferguson was picked up by H. Kelsey and Son, Doncaster. Two bulls sat at the 4,500gn mark. The first was a Fieldson Beefy son from the Gascoines Group, Southwell. Out of Bailea Feebee, Gascoines Lawrence was the choice of Fristling Farms, Essex. Loosebeare Login from the Quick family made the same, catching the of C.E. Hardcastle, Grantham. By Loosebeare Fantastic, Login is out of Loosebeare Canna. At 5,800gns was Loosebeare Lumpy. Top priced female also made 4,500gns, paid for the maiden heifer Absolute Melody from Richard Bartle and Mary Cormack, Herefordshire. By Diamant and out of Wilodge Venelle, a full sister of Wilodge Vantastic, it sold to the Gould family, Shrewsbury. A 4,400gns bid followed for the second calver Mereside Herena from the Hazard family, Grantham. Sired by Dormeur, it is out of Mereside Ferena and sold with a bull calf by a non-pedigree Limousin bull. Back in-calf to a British Blue sire, it was bought by D. J. Summers and Son, Gainsborough. The Hazard family were in the money again with an Objact-sired seventh calver with a heifer calf by Haltcliffe Dancer at foot. 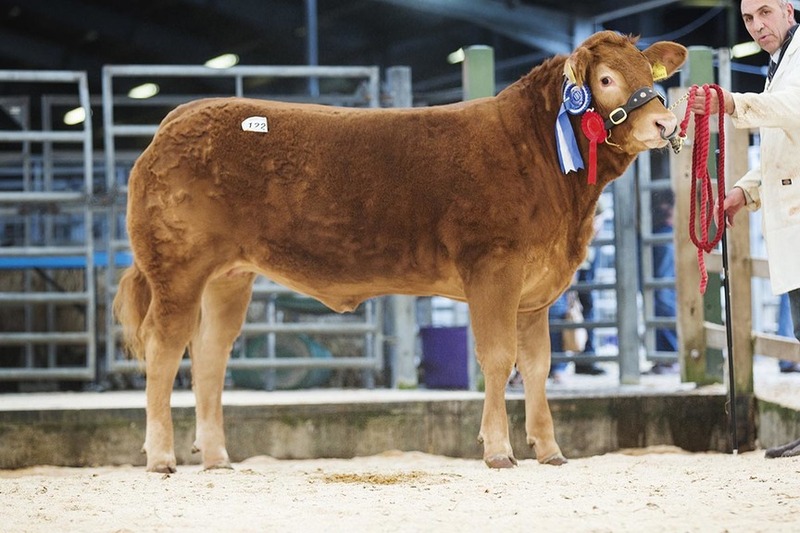 Mereside Demitria is out if Mereside Amber, and was knocked down to P M. and L. Harris and Son, Ashbourne, for 4,300gns. Averages: 15 in-calf cows, £1,701; 25 cows and calves, £2,811.90; 9 in-calf heifers, £1,942.50; 74 maiden heifers, £1,717.29. THE sheep section saw more than 6,000 head forward for selling, including 3,859 hoggs, 1,944 cull ewes and rams and more than 240 store sheep. The total entry of hoggs levelled at 174.14p/kg and SQQ qualifying lots averaged 186.97p/kg. Top priced hoggs was a pen of 55kg Texels from J.B. Thompson, Stainby, which sold to £125/head. Other Texels weighing in at 45kg from the same home sold at £109/head and £107.50/head. J. and S. Ward, Somerset, sold 42kg Texels to 250p/kg. In the cull sale, continental rams from B. Currie, Co Antrim, reached £134/head and cull ewes topped at £130/head for Texels from D. and J. Coulson, Market Rasen. Averages: Prime hoggs, 174.14p/kg; cull ewes and rams, £86.60.